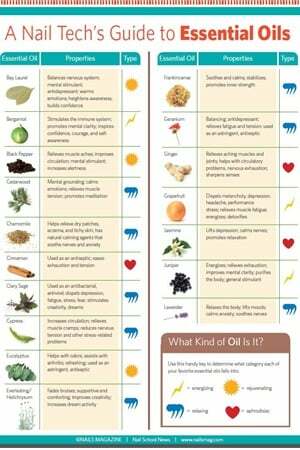 An essential oil is a natural, volatile, aromatic substance that can be extracted (mainly by distillation or expression) from a plant. Among other uses, the highly concentrated oils are employed in aromatherapy and perfume making. We provide you with the properties of some of the most popular essential oils for nail services, plus some handy tips on working with these substances.